The largest mining company Bitmain has recently revealed its 2019-Development Plan. The Company’s leadership hopes that the things on the digital assets market will firm up, and the Company will again be able to turn a tidy profit from Bitcoin (BTC) mining. Bitmain was founded in 2013. The Company managed to gain a good profit on cryptocurrency hype: in 2017, its profit reached about $3 billion. 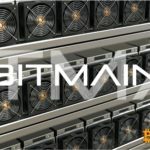 Thanks to innovative ASIC miners, Bitmain began to dominate on the Bitcoin mining market by the summer of 2018 - more than 40% of the BTC hashrate was controlled by its mining pools (BTC.com and AntPool). In the first half of last year, Bitmain yielded a very decent return - more than $1 billion. Unfortunately, the situation changed dramatically in Q2 2018. In August, Bitmain decided to exchange Bitcoin for Bitcoin Cash (BCH): the Company bought BCH at a price of about $900, and the total amount of losses reached $500 million in three first months right after investing in Bitcoin Cash. In October, when Bitcoin price began to plunge, Bitmain’s main product Antminer S9 lost down in its value by 85%. After the BCH hard fork, that resulted in the hashrate war, BTC.com and AntPool pools have lost their prevailing market positions: now they control only 28% of the BTC hashrate. According to the official report, in Q3 2018 Bitmain losses amounted to $740 million. The Q4 Financial Report has not been revealed yet, but it would be safe to assume that the market situation pushed the company deeper into the red. Last summer, the Hong Kong Stock Exchange received Bitmain’s application for holding its Initial Public Offering (IPO). However, the HKEX hesitates with its decision due to the precarious financial situation of the mining company, which may fold up this year. 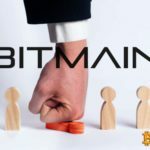 What Awaits Bitmain in 2019? Bitmain employees tried to reassure their investors. They said that in 2019, the cryptocurrency market will stabilize. According to them, the ASIC miners (which are sold out by the pound in China now) will play a fundamental role in the crypto industry. 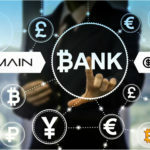 Bitmain forecasts a bright future for cryptocurrency payment systems and the digital assets easing. Under the crypto market stabilization, Bitmain means the increase in the Bitcoin price, as this is a key factor, which determines its mining profitability. In 2018, the Company’s leadership made a couple of bad decisions and paid millions (or even a billion) dollars for that. The $500 million mining farm in Texas does not operate, no one needs new ASIC miners, the IPO is very much in question, hundreds of jobs are at stake. Nevertheless, Bitmain has a chance to climb out of the pit. But the Company needs to cut costs and to transform a part of its business activity. There is no point to await for Bitcoin price hike, but to start mining altcoins, even if there is a threat to lose control over the BTC and BCH computing power. © 2018 bit.news | queries 228, for 0.501 sec.